Home > Texas Instruments Inc.
Found one file extension association related to Code Composer Studio and 1 file format developed specifically for use with Code Composer Studio. 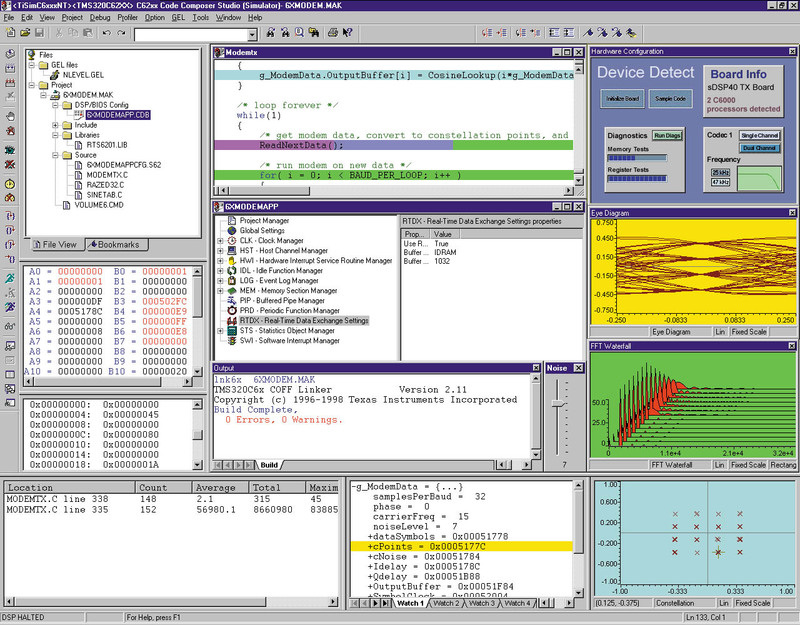 Code Composer Studio is an integrated development environment (IDE) that supports TI's Microcontroller and Embedded Processors portfolio. Code Composer Studio comprises a suite of tools used to develop and debug embedded applications. It includes an optimizing C/C++ compiler, source code editor, project build environment, debugger, profiler, and many other features. The intuitive IDE provides a single user interface taking you through each step of the application development flow. Familiar tools and interfaces allow users to get started faster than ever before. Code Composer Studio combines the advantages of the Eclipse software framework with advanced embedded debug capabilities from TI resulting in a compelling feature-rich development environment for embedded developers. If you need more information please contact the developers of Code Composer Studio (Texas Instruments Inc.), or check out their product website.